It’s my birthday (this Saturday, actually!). I’m turning 24 on the 24th! So many fun activities! Football, apple picking, hiking… the possibilities are endless. 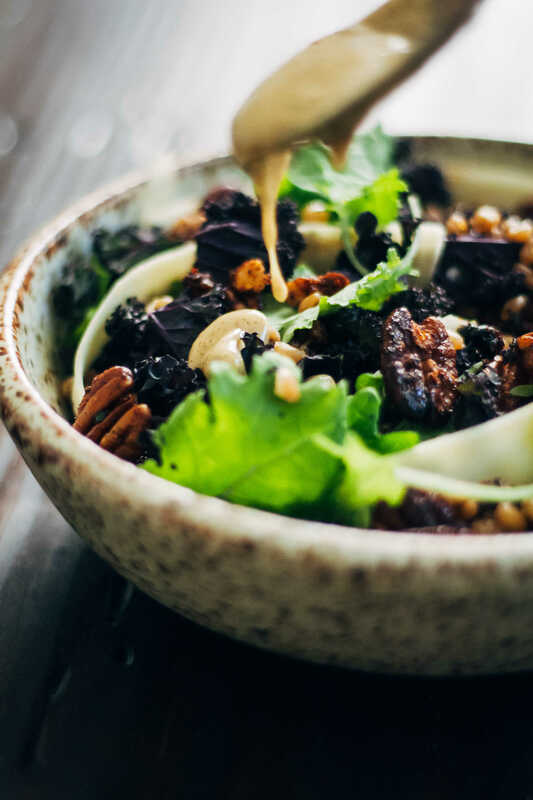 This warm autumn salad is a celebration of fall's bounty, with parsnips, hearty autumn kale, and warming chipotle pecans. Start by cooking the wheatberries. Bring wheatberries and 1 1/2 cups water to boil, then reduce to a simmer for 30 minutes. Then, mix pecans, maple syrup, and spices. Toast in the oven on the broil setting for 3-4 minutes, watching to ensure they don't burn. To make the maple mustard vinaigrette, combine all dressing ingredients to a blender and blend on high until smooth and creamy. Next, put the purple kale in bowl. Add the juice from 1 lemon, and massage juice into the leaves for about 30 seconds. 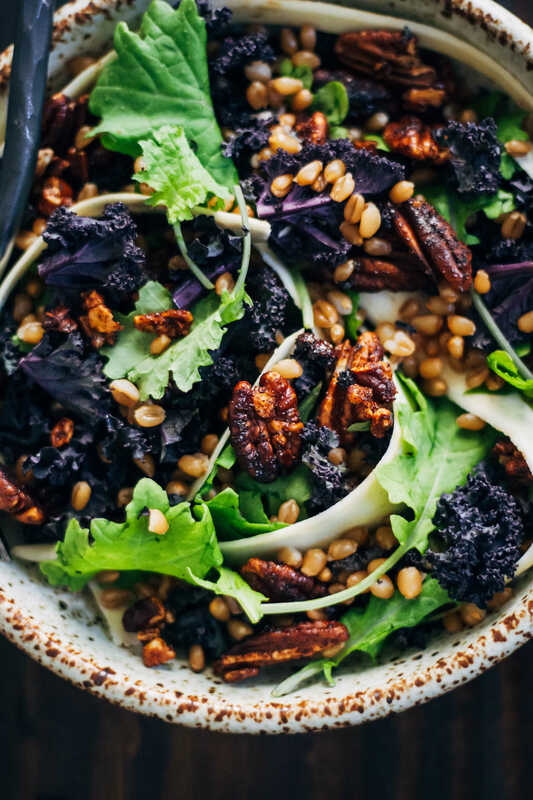 To assemble the salad, combine massaged purple kale, baby kale, parsnip shavings, cooked wheatberries, and pecans. Mix. Serve with the maple mustard vinaigrette. Enjoy! Fall, my favorite season! At least, it was in Italy, I’m so curious about it in the SF bay area. Btw, those chipotle pecans rock! Thanks girl! Those chipotle pecans ARE pretty delicious ;) Hope you have a wonderful autumn!! Fall salads are the best! I don’t think they get enough credit, but once you add in the nuts and all the fresh greens and maybe some hearty grains or sweet fruits it is magical. Speaking of magical, that dressing. Maple and mustard are two of my absolute favorite dressing ingredients. I some how end up using them in almost every dressing I make lol. Just so perfectly balanced. This looks marvelous, and that is quite a mouthwatering list to try there too :) Happy almost birthday!! So many things to say, Sarah. First and foremost though, Happy 24th Birthday! Have you got any particular celebration plans or are you taking a low key approach and treating it like any other day? Whatever the case, I hope you have a fabulous one and are feeling ready for the upcoming year. 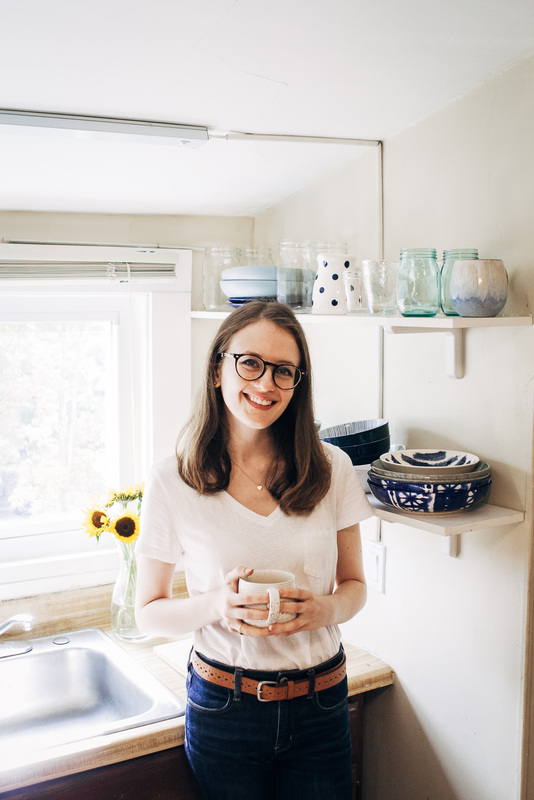 Apart from that, let me just say that I love that you’re starting into the season with a SALAD, as opposed to say a stew or whatever, because summer’s coming to an end should, in my option, not necessarily have to mean “see ya next year, salads”. Fancy a salad in winter? Salad up! CHIPOTLE…..PECANS??? Honestly girl, you had me at that. Plus wheat berries have this hearty fall feel to them I need in my belly! You’ve gotta try the chipotle pecans, they’re so good!! So autumn-y!! :D Thanks girl! Happy birthday for Saturday, oh to be 24 again! 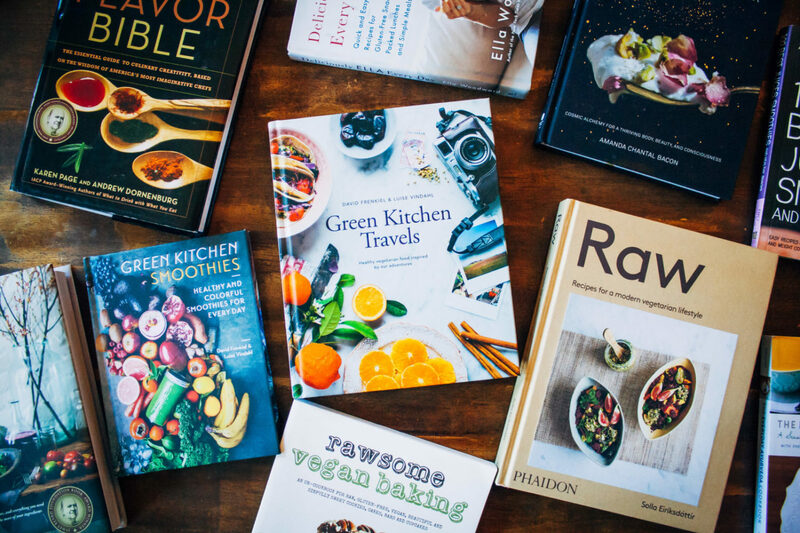 A lovely collection of recipes, some faves of mine in there. 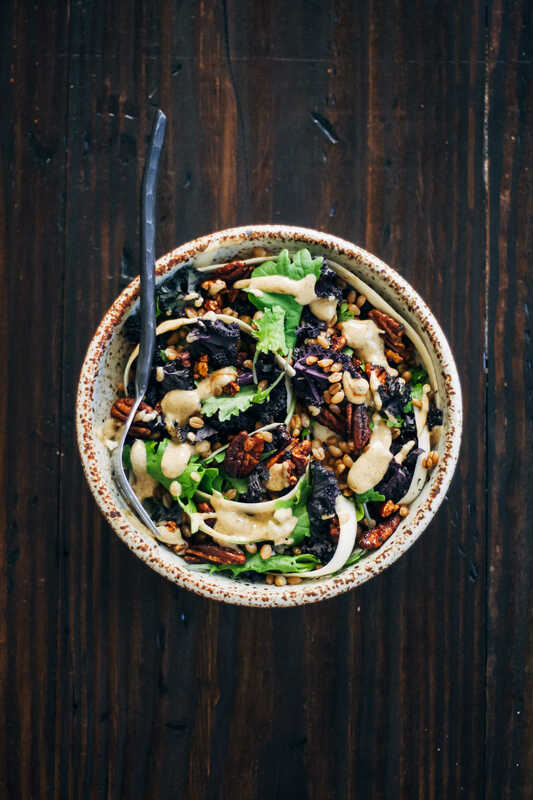 This salad is all the tasties, I am loving the sound of these pecans! Happy thoughts to you Sarah. This salad is PERFECT! Making it along with your raw marzipan cookies =) YUM!